2) Send this to as many of you friends and colleagues as possible and get them to do the same. You need not be a New Jersey resident to vote. You only need a valid e-mail address. 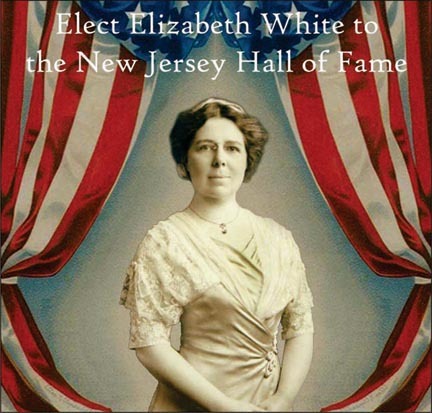 So vote now and help us elect Elizabeth C. White. We certainly think she deserves a place in New Jersey's Hall of Fame. Join us in voting for Elizabeth Coleman White.